Navy pull-over hoodie with front kangaroo pocket and shoelace drawstring hood. 35% Cotton Fleece. 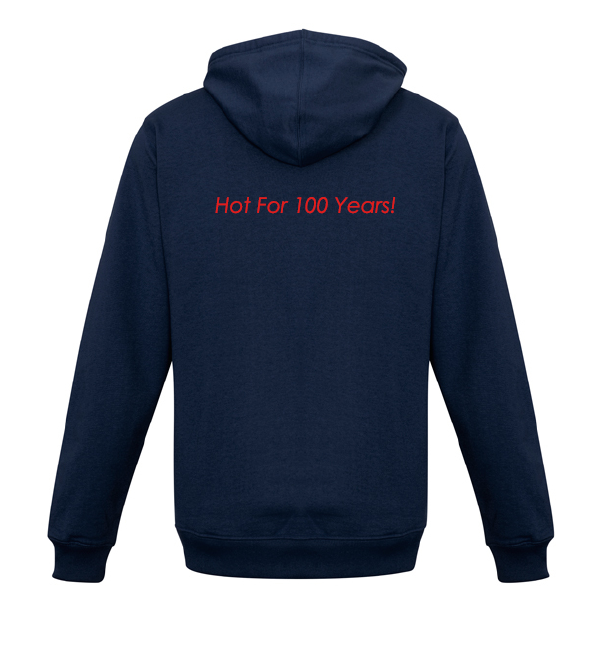 Features “Hot for 100 Years!” on reverse.